The importance of the European road freight industry is often overlooked. Instead of focusing on the economic value it contributes, the critical nature of efficient transport to European manufacturing strategies, not to mention the millions of jobs it creates, it seems that many are guilty of regarding the sector as a cause of environmental or social problems rather than as an asset. However, road freight accounts for over three-quarters of inland freight-tonne kilometres on the continent and the market is continuing to grow strongly amidst an improving demand picture and rising costs. Ti estimates that the European road freight market grew by 4.5% in nominal terms (holding exchange rates constant) in 2017. Real growth (volume growth only) was 3.3%. Demand growth has been fuelled by a pick-up of the European economy, which expanded at an intensity not seen since the immediate post-global recession recovery. A stronger year for manufacturing on the continent was indicative of a faster-growing road freight market. Meanwhile, tightening capacity and moderate, yet sustained inflationary pressures point towards an increase in road freight rates. However, the main driver of price change is fuel and this has rebounded following the oil price slump from 2014-2016. In 2017, the average price of a litre of diesel in the EU was €1.22, up 9.0% from 2016 levels. The demand side in 2018 has remained positive and Ti projects that the market will grow by 3.5% in real terms for the year. In nominal terms, Ti expects the market to grow by 5.8%. Further upward developments in the cost base of road freight services, such as higher fuel prices, together with tightening capacity are the main causes for this growth. Over the next five years however, growth is expected to subside somewhat, expanding by a real 2017-2022 CAGR of 2.7%. The five-year forecast implies that 2019-2022 will see lower average growth than 2017-2018. This can be explained by the downside risks to the European economy over this time frame, such as rising public and private debt levels, a narrowing output gap, a slowdown in monetary stimulus and a slowdown in employment growth. Nevertheless, with the economy still expected to expand it a robust, albeit lower rate than in 2017 and 2018, demand for road freight services is expected to increase at a relatively healthy rate. Ti’s latest report, European Road Freight Transport 2018, will be available from Tuesday 27th November 2018. 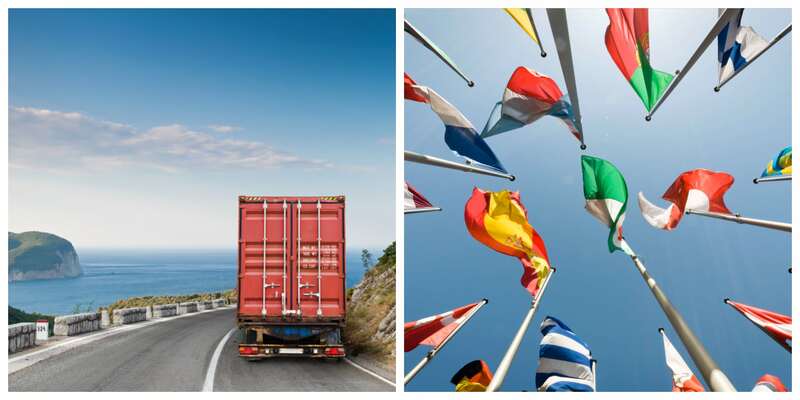 The report examines key trends in road freight operations and investigates how the market is changing by assessing cost structures, EU policy, shippers’ requirements and Brexit. To find out more about the report, or to register your interest, click here.